Are you looking for something exciting and fun for the kids and teens to do this Easter Break? 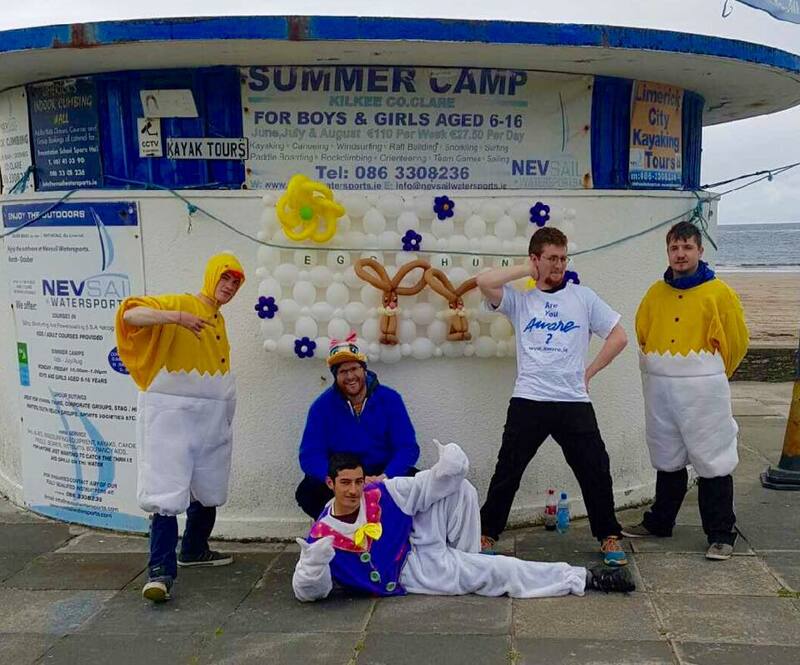 Kilkee & Limerick Easter Camps 2019! 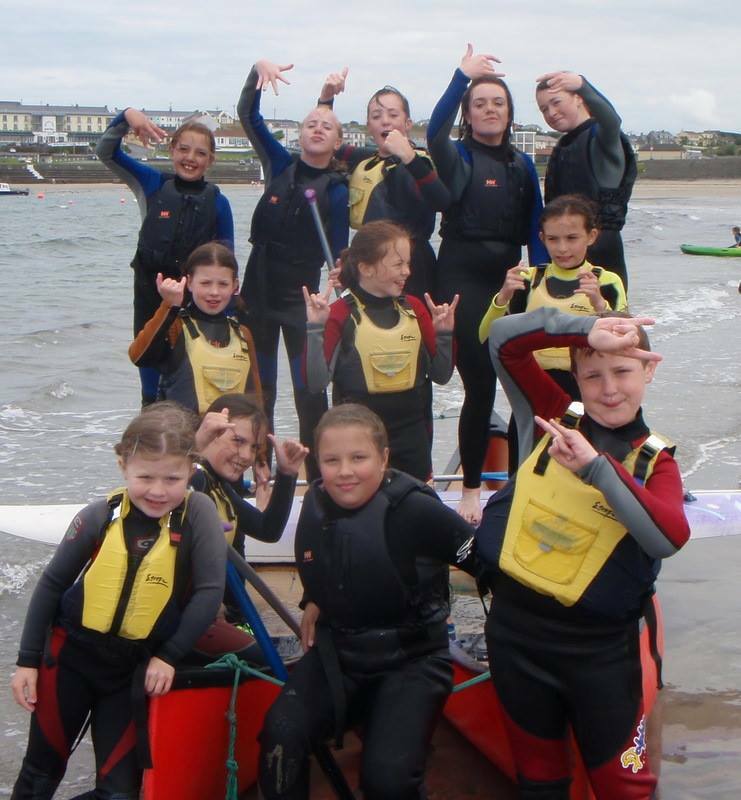 Daily & Weekly Easter Water Sports & Adventure Camp in Kilkee, Co.Clare & Limerick City. Our Easter Watersport Camp (water and land based activities) will be running this year in Limerick City and in Kilkee, Co.Clare from Monday to Friday the 15 th - 19 th of April and the 22 nd - 26 th of April 2019, which you can book onto daily and/or weekly. Mornings (10 am-1 pm) or afternoon (2 - 5 pm) camps run depending on weather and sea conditions each day. Our camps are a favorite with all the kids and activities include a mixture of land based and water activities including rock climbing on the strand line, archery, orienteering, sailing, surfing, stand up paddle boarding, windsurfing, kayaking and loads more activities for the young adventurer! Daily/Weekly rates: €110 weekly, €27.50 per day. Call us on 086 3308236 or e-mail; info@nevsailwatersports.com to book your spot and treat your kids to an experience they will never forget! 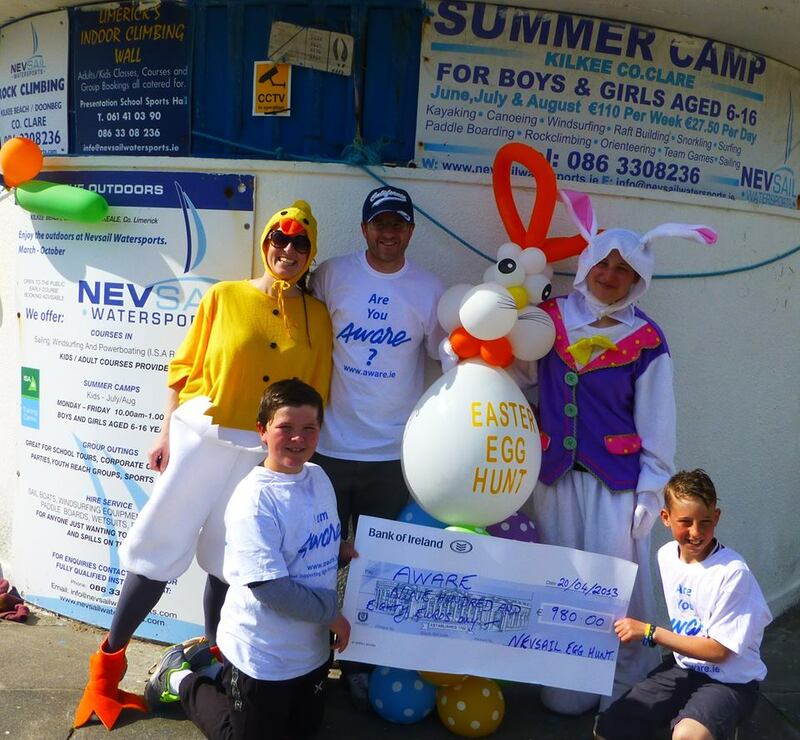 After the years of great support and success of our Eggselent Easter Egg Hunts, we will be running our 7 th year Easter Family Egg Hunt on Saturday the 20 th of April 2019 from 12 - 2 pm at the Nevsail Watersports Beach Hut in Kilkee,Co.Clare. This event is taking place in aid of "AWARE" again this year, helping to raise funds for mental health and suicide in Ireland. You can also make a donation online now on our fundraising page: https://give.everydayhero.com/ie/easter-egg-hunt-2019-in-aid-of-aware and any donation would be massively appreciated.